Where is the time going this year?! Who’s joining me on this fabulous ride?! This year will be my third Summer Sampler, and I’m already pretty excited. I really like that you get to see concepts of all the blocks before you start. Nothing is more disappointing to see a couple blocks and then get “surprised” with duds the rest of the project. It’s like a movie trailer having all the best stuff in that two-minute commercial! This is definitely not the case with the Summer Sampler. Even though it’s called a sampler, it really is modern and designed in a way to suit the tastes of any quilter. What is the Summer Sampler? 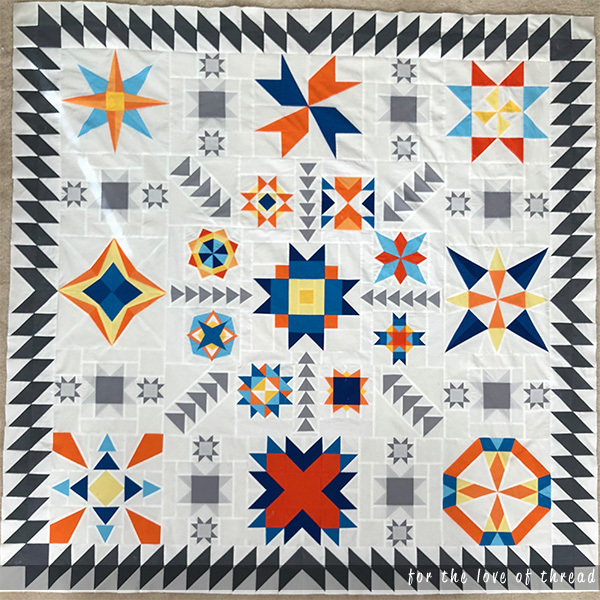 The Summer Sampler is designed and hosted by Lee of Freshly Pieced, Faith of Fresh Lemons Quilts, and Katie of SwimBikeQuilt. 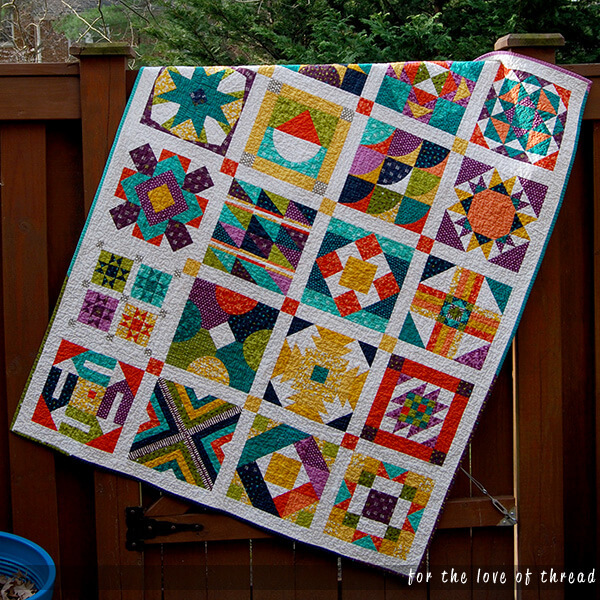 If you’re a fan of their work, then you know you’re going to love this quilt along. Each week, you’ll receive the pattern for a block. At the end of the summer, you’ll get instructions for putting it all together. 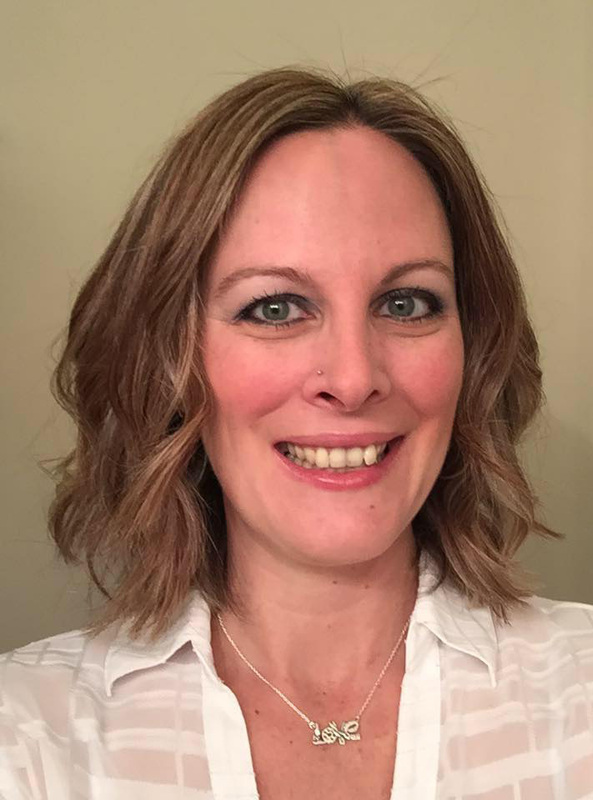 Lee, Faith, and Katie blog each week about their blocks and give you helpful hints for putting it together easier, faster, and better. They also host a private Facebook group where we can show off our progress, ask questions, and support each other. I really hope you’ll join me! The best part is that if you sign up before April 6 is you get a discount! The regular price is $29.99, but you’ll pay $21.99 using Lee’s discount code. So hurry on over and sign up! I can’t wait to see the blocks and what you’ll do with them. 2016 was the first year I joined in. 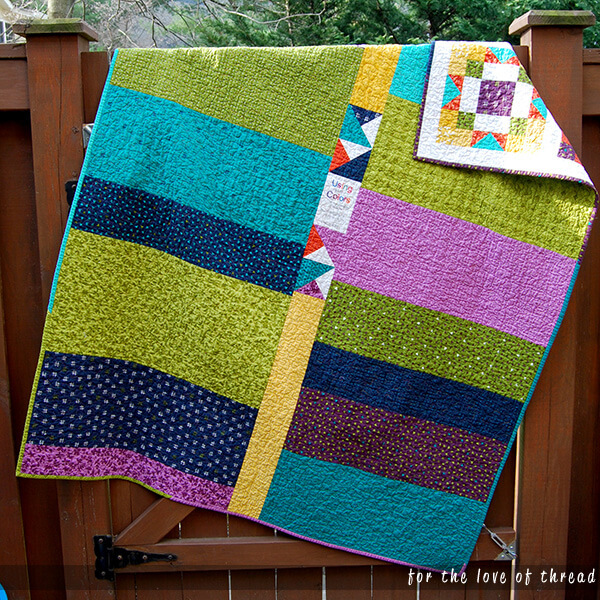 This quilt ended up being called Using All the Colors, for obvious reasons I think! I gave it to my grandpa last year for his birthday. He turned 90 last week and still talked about how much he loves it when I called to wish him a happy birthday. I think it’s just the right amount of fun to bring to a rainy Seattle day. And I used the leftover fabric to make an equally colorful back! Joni! I love your summer sampler! It is a happy quilt indeed! I would love to join in the 2018 Summer Sampler – but alas, I’m on a special diet and I’m not starting any new projects … nope … not one … I’m trying to remain strong and finish up my UFOs! Okay my heart skipped a beat when you said 2018 is a quarter gone, NO! I really like Lee’s work (well all 3 of those girls! Own their book, and have bought a couple of Lee’s patterns). Love the one you gave your grandpa! Isn’t it the BEST when the recipient keeps telling you, and others, how much they love their quilt? Last year’s is beautiful too- how are you going to quilt it? Right?! Where is the time going? I hope you’re joining in this year. It’s so much fun. I quilted it with straight-ish line quilting about two inches apart. We finally have a sunny day tomorrow, so I’m taking it out for a photo shoot. I hope to post about it next week!